Great news for Netflix customers. 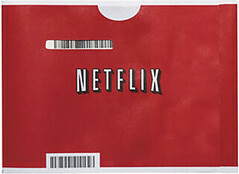 According the the Netflix CEO, Reed Hastings, they are beginning to test weekend shipping. During the first quarter of 2009, they will be testing Saturday shipping in "certain parts of the country." This means if you send a disc back on a Friday, Netflix receives it on a Saturday and you could receive your next disc as soon as the next Monday assuming you're luck like me and close enough to a distribution center to get one day delivery. I'll be testing this out this weekend to see if Kansas City is doing this yet or not.